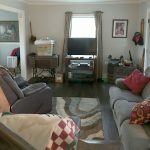 Before and after pictures of a Brentwood, Tn home decluttered, organized and rearranged to maximize space and make it more livable. We provided our declutter service to the owners of this home who have a very busy lifestyle; working full time jobs, being the parents of two teenage children, adult children and grandchildren. The household is always busy with family time, cooking and everyone coming and going. They engaged our declutter service to work with them to go into each room and determine what was important to keep, then declutter and throw out everything else including items in cabinets, drawers and boxes. 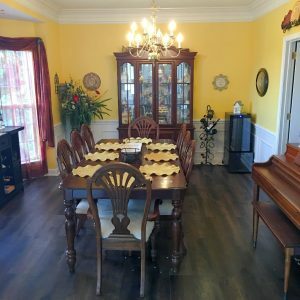 In addition, after inheriting Antiques and memorabilia from parents who had passed away, they truly needed help in organizing and including some of those items into their current layout and then packing and storing the items they didn’t need to see on a day-to-day basis. By doing some basic rearranging and organizing to each of those spaces it helped there busy lives be a little more manageable.